COPPELL, Texas--(BUSINESS WIRE)--Apr. 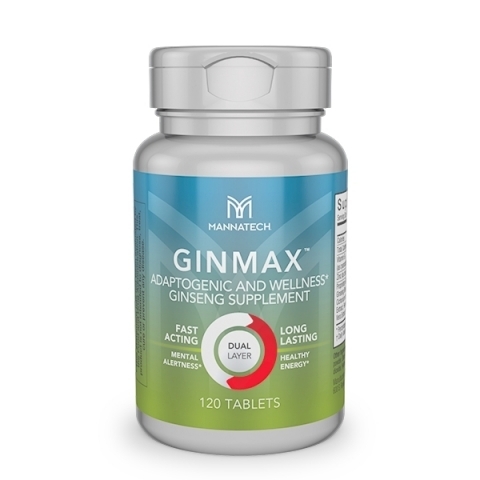 12, 2017-- Mannatech®, Incorporated (NASDAQ: MTEX), a global health and wellness company committed to transforming lives to make a better world, has launched GinMAX™, a powerful, dual-layer ginseng product that is the first of its kind. As one of the world’s most powerful herbs, ginseng has been used for thousands of years to address many aspects of human health, including fatigue and focus. Now, Mannatech technology captures bioactive ingredients in ginseng through a leading-edge fermentation process to bring a revolutionary and potent ginseng experience with GinMAX. Mannatech, Incorporated, offers a profound wellness experience that makes a difference in the lives of people across the world. Through its innovative Glyconutrition products, Mannatech changes lives, providing an unprecedented level of natural wellness, freedom and purpose. With more than 20 years of experience and operations in more than 26 markets^, Mannatech is committed to changing lives. For more information, visit Mannatech.com.